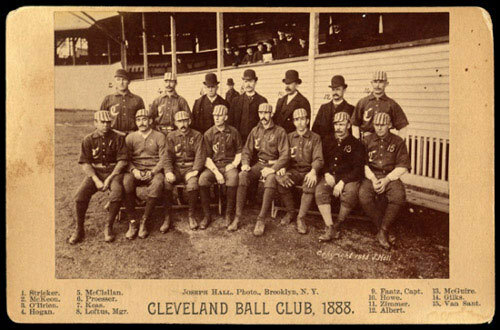 The Original Cleveland Blues team began in 1878 as an amatuer club. 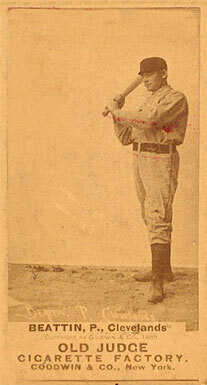 In 1879 they became part of the National League of Professional Baseball Clubs. 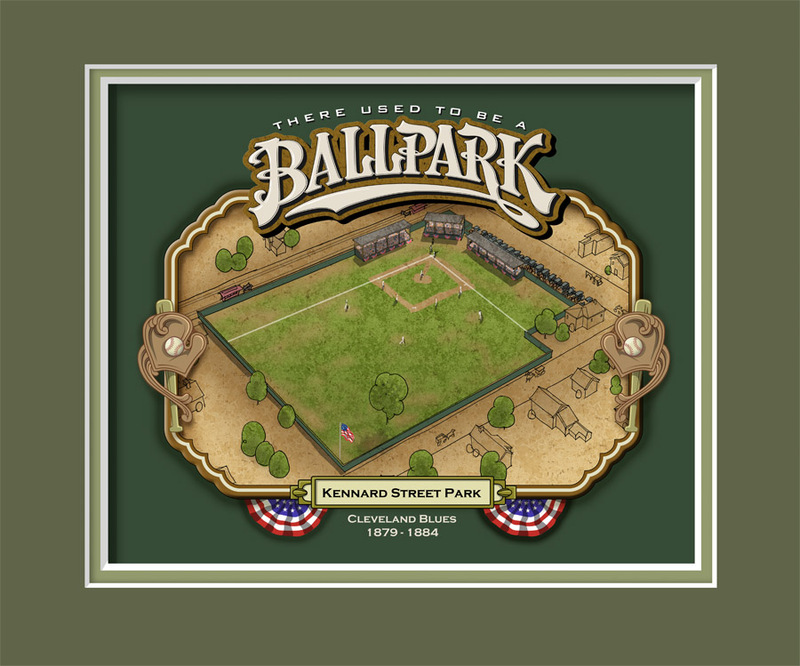 The team played at Kennard Street Park (also know as National League Park), which is currently East 46th Street & Cedar Ave. (mapquest link). During thier 6 seasons in the NL, they never finished avove 3rd place. 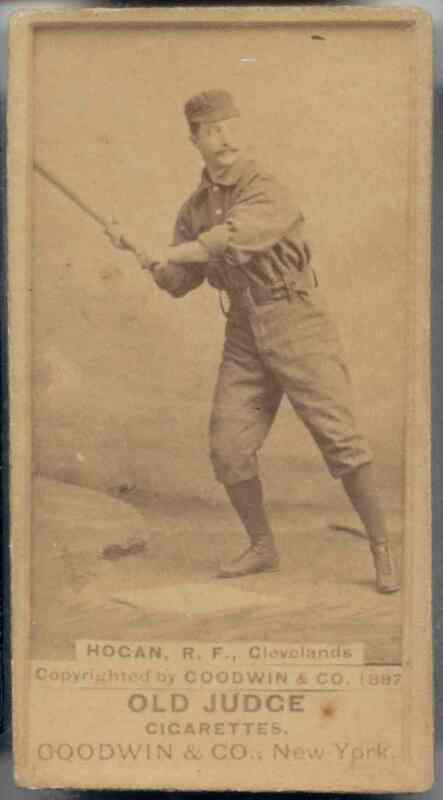 However, they did have some noteable players on the team, such as Hall of Famer Ned Hanlon who played for the Blues in 1880. 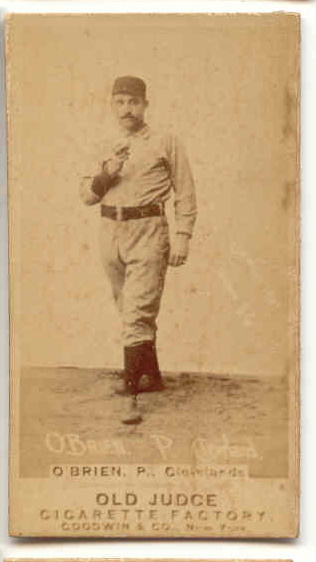 Hugh "One Arm" Dailey threw a no hitter for the Blues on September 13, 1883. 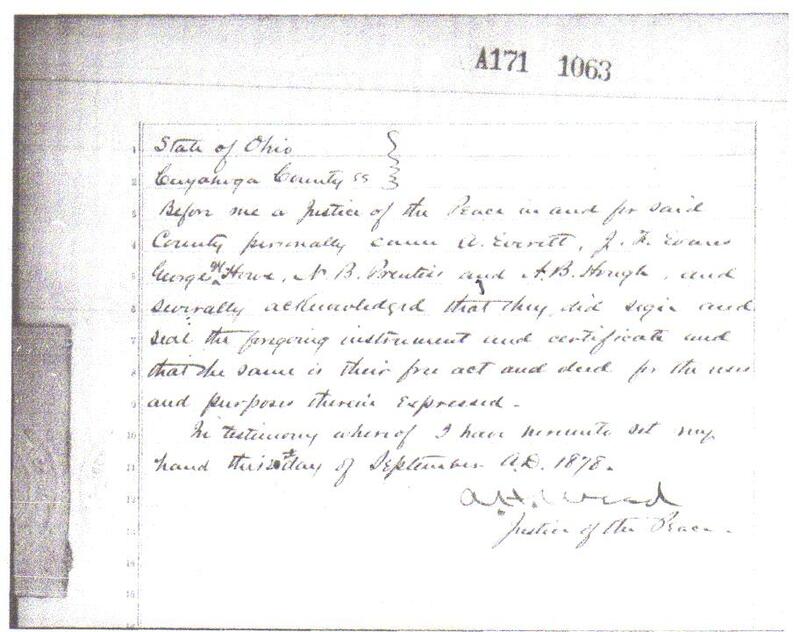 Dailey was nick-named "one arm" because he had only one arm. 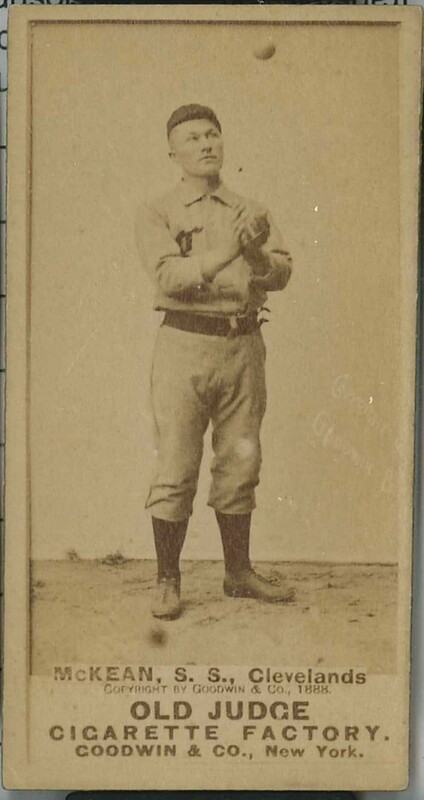 Even with this setback, he recorded 19 strikeouts in one game (July 7, 1884), a major league record for over 100 years until 1986 when Roger Clemens broke the record by recording 20 strikeouts in a game. In recognition of this great player, September 13th is now "Cleveland Blues Day". 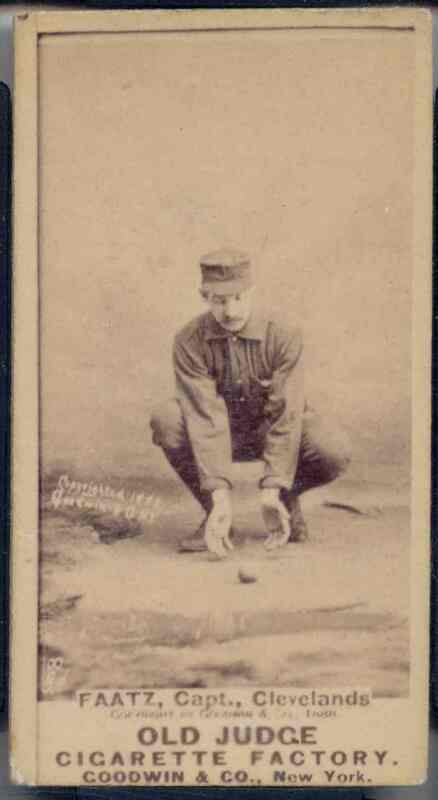 During the 1880 Season, the first ever pirfect game was pitched against the Blues by J. Lee Richmond of Geneva, Ohio, while playing for the Worchester Club. 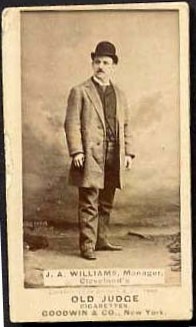 The club folded after the 1884 season after finishing in 7th place. They sold all of thier players to the Brooklyn Trolley Dodgers, which later became the modern day L.A. Dodgers! "Good ball-players make good citizens." 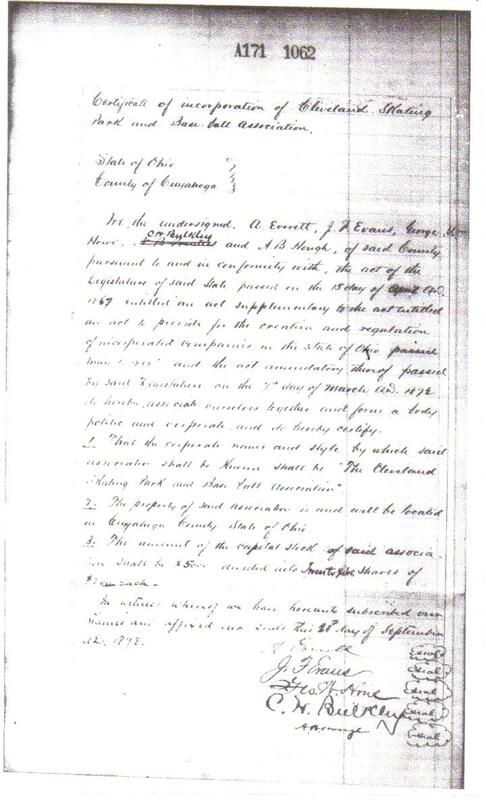 -Chester A. Arthur - upon greeting the Cleveland Blues, April 3, 1883. 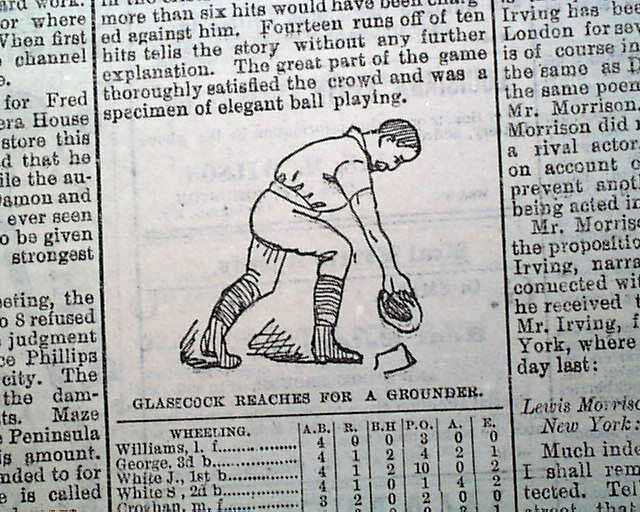 The Blues returned to Cleveland and played at National League Park in 1887, but in the American Association. 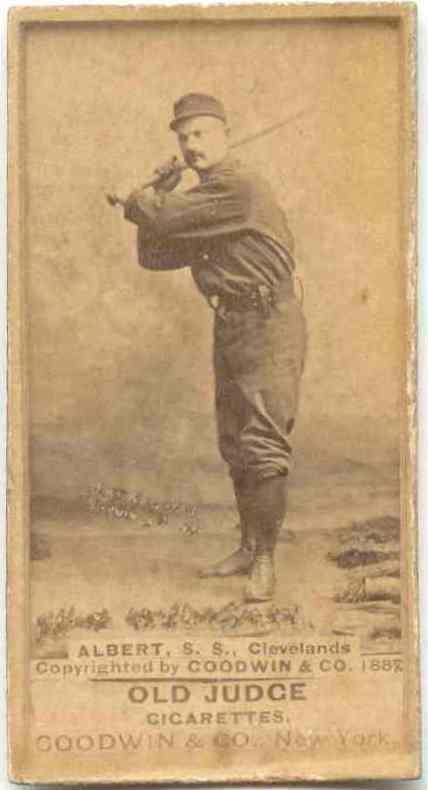 In 1889, they changed thier team name to the Cleveland Spiders, moved back to the National League and started playing at League Park in 1890. 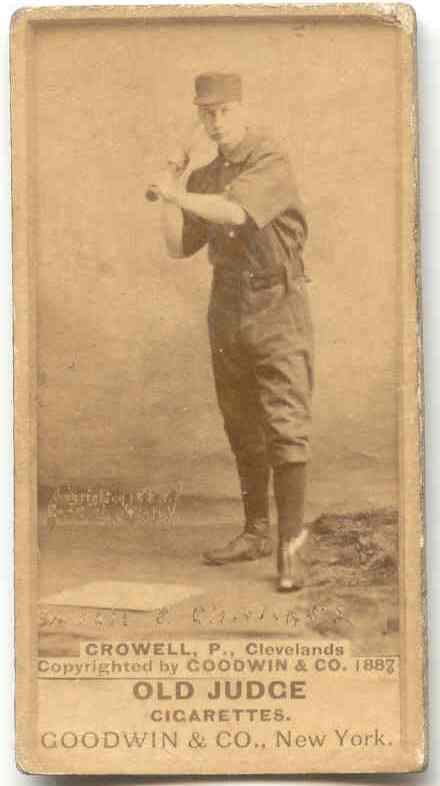 The most notable player of this era of the Blues/Spiders was Denton "Cy" Young, one of the best pitchers in baseball history. 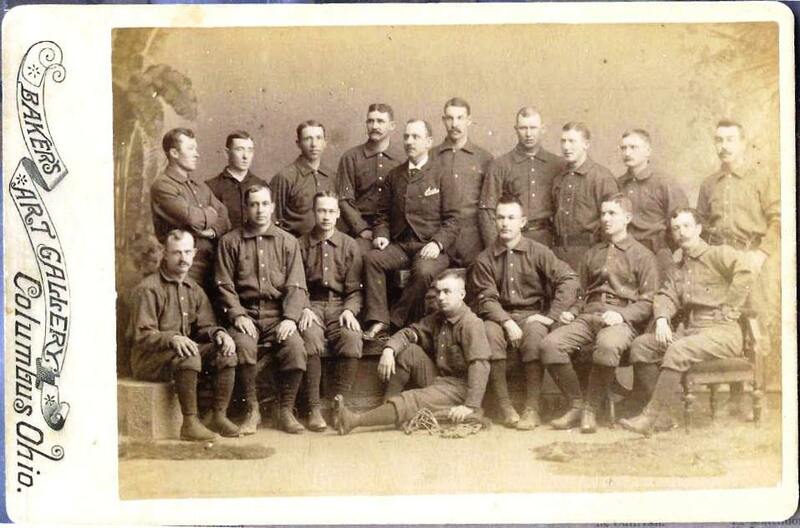 The 1899 team finished with a 20-134 record, the worst season in major league history! 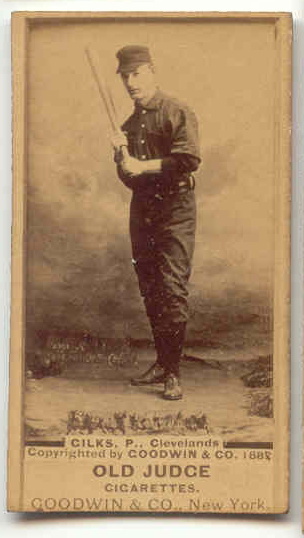 The 12th-place Spiders were one of four teams contracted out of the National League at the end of that 1899 season. 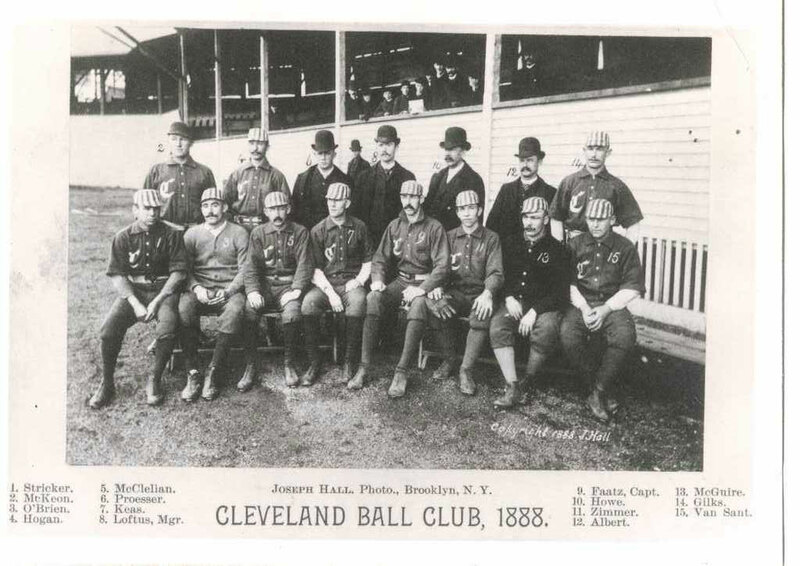 With thier run ended, Cleveland did not have a professional team heading into the new century! 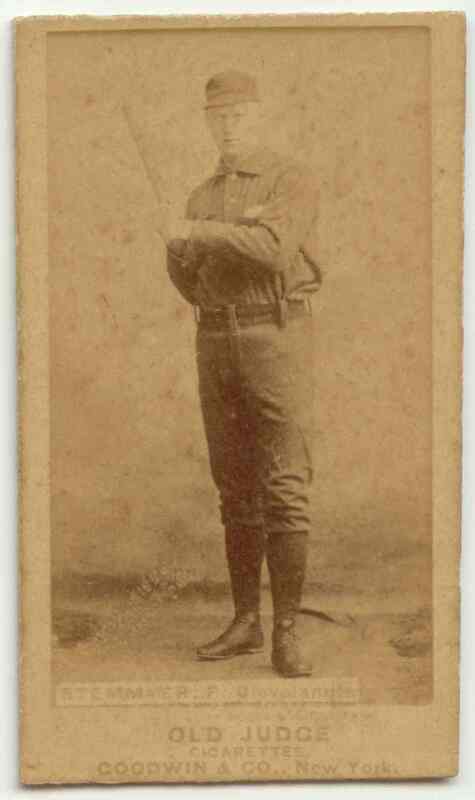 Much thanks to Eric Angyal who provided high resolution copies of the cards from his digital archives. This was a stange time for the Cleveland Blues. 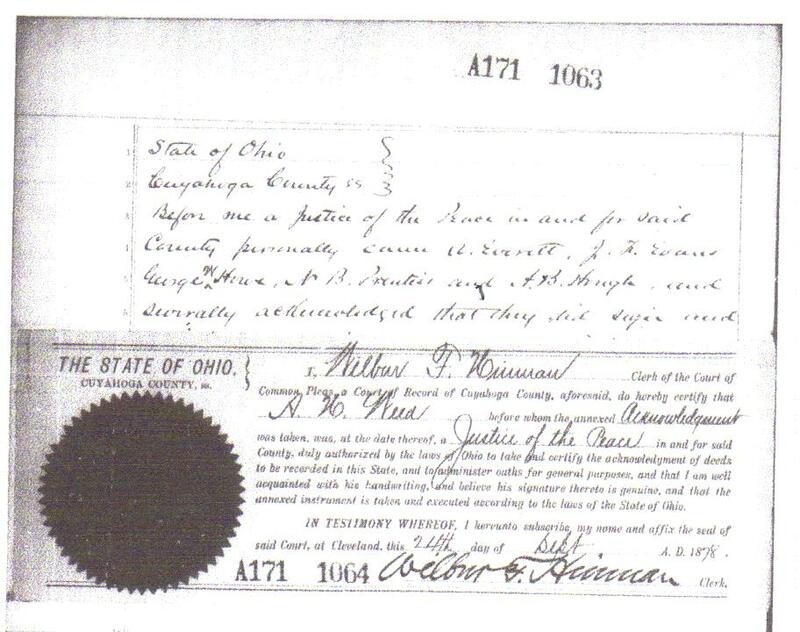 They went through 4 name changes until finally settling with the current name of the team, the Indians in 1915. 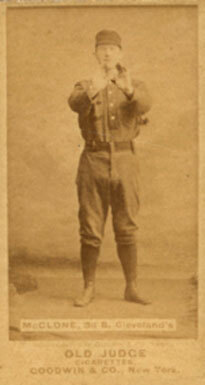 They also became charter members of the modern day American League in 1901. 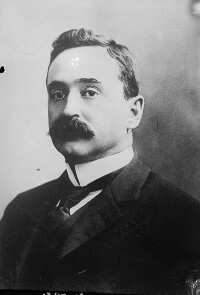 The original name of the team in 1900 was the "Bluebirds" which the team members hated. They shortened it to "Blues". 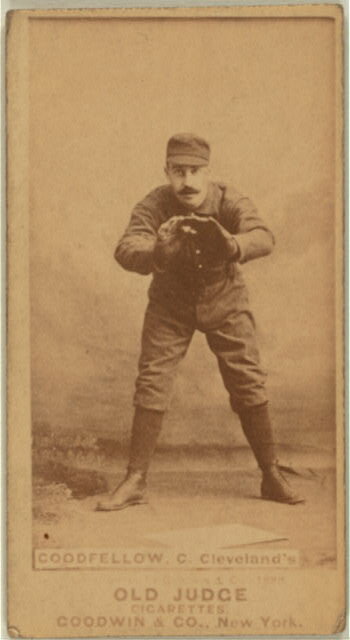 From 1903-04, they called themselves the Bronchos, and after the aquisition of superstar Napolean "Nap" Lajoie changed thier name yet again to the "Naps". 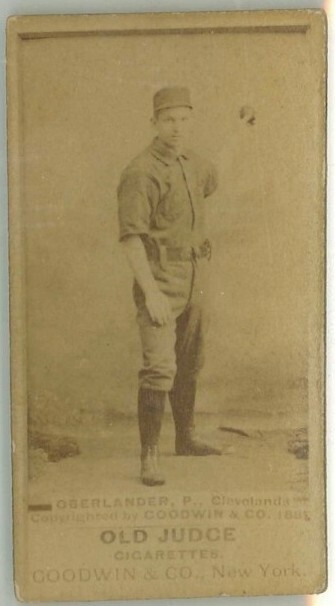 After trading Nap prior to the 1915 season, they setteled on the current name of the "Indians". The latest edition of the Blues was founded on September 13th, 2008 (Blues Day), by a group of clevelanders and baseball fans. 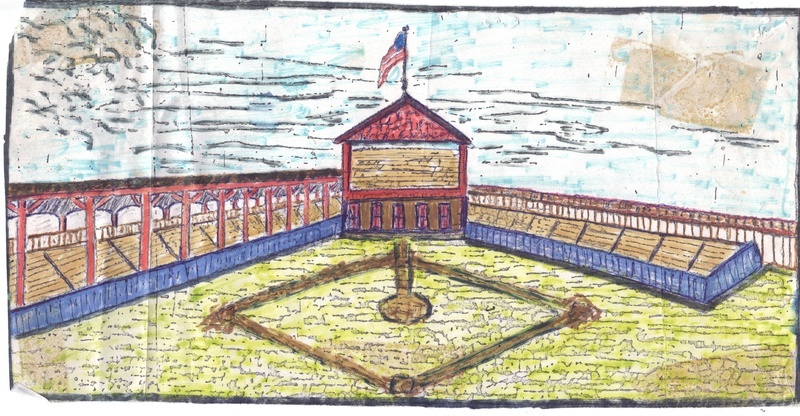 We look forward to adding to the historic significance of League Park in the next form of the Cleveland Blues Base Ball Club!